PARAMOUNT is an iconic, high end urban living experience in the center of Miami WorldCenter, second largest and most exciting urban developments in the U.S. At nearly 30 acres, Miami Worldcenter is at the epicenter of the city surrounded by over $3 billion of new public and private projects including mass transit, museums, parks, sports venues, entertainment and The Mall at Miami Worldcenter consisting of luxury retail and signature restaurants. 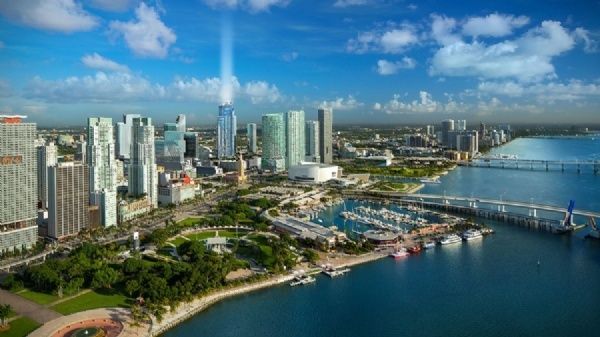 The new Paramount Miami Worldcenter will rise over 700 feet in the air and will be an astonishing addition to an already magnificent Downtown Miami skyline. 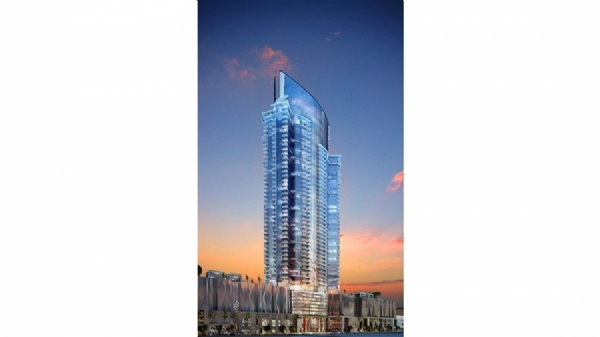 The new tower will be 60 stories high and will include a variety of sports, including tennis courts, soccer field, running course, several swimming pools, boxing studio, fitness cetner, spa, and also the jam room, complete with drums, guitars, a piano and a recording studio, all located on the entire 9th floor of the building. In addition, there will be twelve Balinese-style, two-story villas surrounded by pools and other water features will also occupy the same floor. 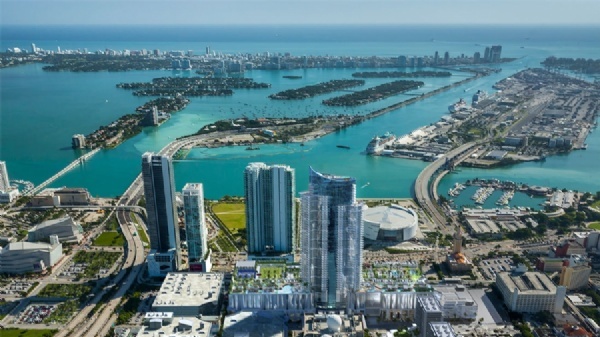 Daniel Kodsi, developer of Paramount Miami Worldcenter and an interior designers IDDI have designed a multi-story cruiseship-like resort amenity, to include an indoor lounge with 180-degree views. Above it will be an outdoor pool area with a yoga deck and firepit. 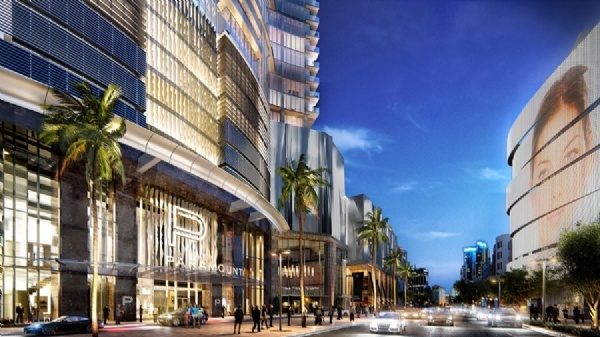 Paramount Miami Worldcenters architects are Boston-based Elkus Manfredi, the firm that designed the retail portion of the Time Warner building in New York. 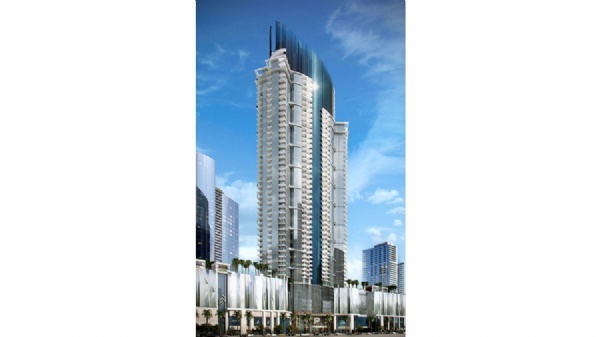 Kodsi, who developed Paramount Bay on Biscayne Boulevard and 20th Street in Miami, is also in the midst of construction on Paramount Fort Lauderdale Beach. Previously, he built other condos and multi-family and single-family communities throughout Florida, after getting his start working construction on his fathers residential projects during summers, beginning at age 10. The towers residences will all have private elevator, third-floor access to the mall, which will be anchored by Bloomingdales and Macys. Among other condo features: private elevators that open directly into residences, 10-foot high ceilings, outdoor living rooms, laundry rooms and convertible dens. Units range from one-bedroom plus den with two bathrooms to three-bedrooms plus den and four bathrooms. Prices for the units, which range from 1,300 square feet to 2,300 square feet, start at $700,000 and go up to $1.5 million. 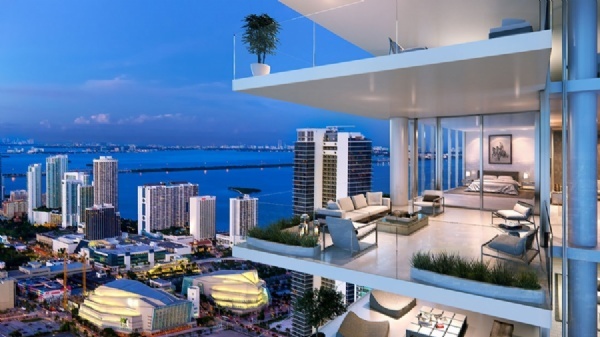 Penthouses and villas will be priced up to $5 million.